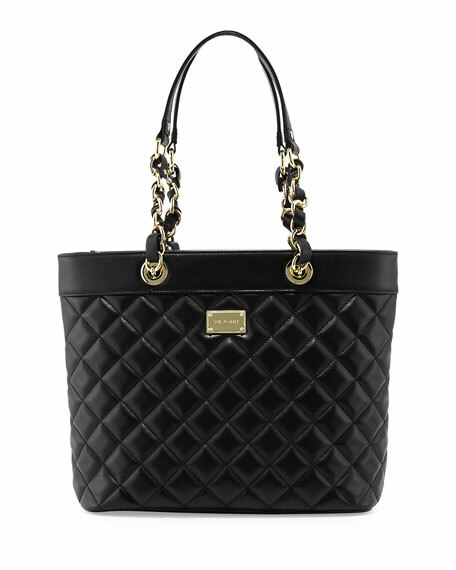 St. John diamond-quilted napa leather tote bag with golden hardware. Chain and leather top handles, 9.5" drop. Interior, fabric lining; one zip and two slip pockets. 11"H x 12"W x 5"D; weighs 2 lb. 5.3 oz. For in-store inquiries, use sku #1739951.